As we await Hawai’i Governor Neil Abercrombie’s signature on a civil unions bill later today, the news from Washington, Dc is fabulous. US Attorney General Eric Holder and President Barack Obama have concluded that the Defense of Marriage Act is unconstitutional and indefensible. Of course this will not be the end of the story. Congress and other parties will probably get involved and do a lot of grandstanding about marriage equality but a very big decision for equality has been made. It will be thrilling and challenging to watch how this next phase of our civil rights battle plays out. I do not expect it to be a cakewalk–by any means. 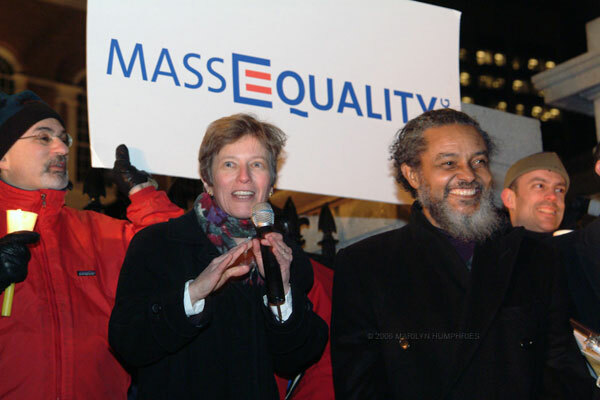 The DOMA challenges from GLAD’s Mary Bonauto and MA Atty. Gen. Martha Coakley pushed the envelope in the struggle for equality. Check out the full story in Obama Orders End to Defense of Federal Gay Marriage Law.